I have always had trouble with sleep. Thoughts are unmanageable, always, but especially at night. I don’t like waking up early (of course, that is what the office expects of me). I hate it, actually. Pure, unadulterated hatred. But I’ll definitely be up at 6 o’clock on a Saturday or while being on vacation. Our minds usually play by the rules of cruel irony. Anyway, when I found this book, I thought it was going to be rather interesting. (“Rather” has left the building.) It was interesting, in some respects. As a lover of philosophy, history and other fields that made me so popular among my peers (? ), I usually find this kind of text fascinating in some way or another. But, enough. Without further ado, the following are some of the main ideas that can be found inside this charming little book. Waking and sleep are present in the same part of an animal and symbolize another of the countless dichotomies inherent in nature, for instance, health and sickness, sight and blindness, Trump and politics, Kardashian and elegance, Xipolitakis and airplanes, among other fine examples of the dual character humanity is in possession of. In this case, they complement each other, since animals cannot be always sleeping or awake. Aristotle refers to animals that were obviously endued with sense-perception (and he was quite insistent on this matter so there is no way you will be able to forget about this concept, ever), thus plants were never part of the equation for they lack said faculty and therefore cannot wake nor sleep. Aristotle then proceeds to explain the causes of sleep and waking. 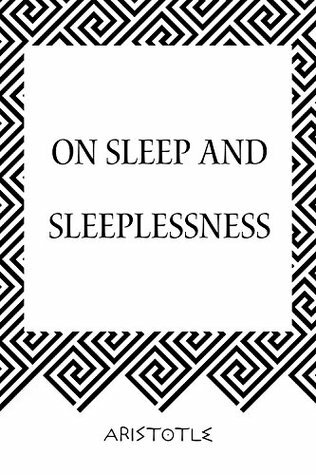 After giving a recapitulation of several of some of his widely known concepts (that might come back to you from the repressed corner of your mind dedicated to high school memorabilia), he states that sleep is perceived as rest, which is necessary and beneficial. In that sense, its end is the conservation of animals. This is the most delightfully confusing part of the treatise. A heads-up? The expression “such persons” does not include infants. Otherwise, 15-year-old Becky who leaves your fridge empty and a phone bill of monumental proportions for next month while taking care of your kid sounds like a hell of a babysitter. It is a shame we can’t sue the author for false advertising.